You can choose every company you would like to include in your customized bidders list by adding a checkmark next to each company name. 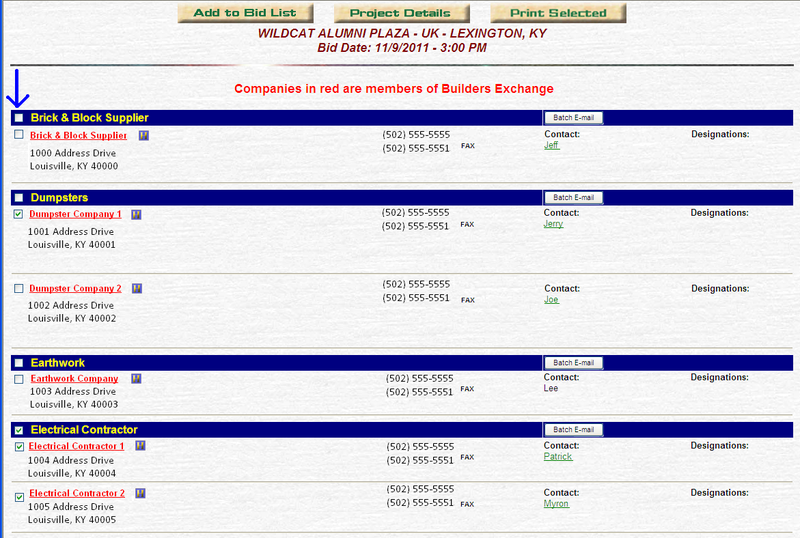 Alternatively, a checkmark can be added next to each company trade type you would like added to your bidders list. 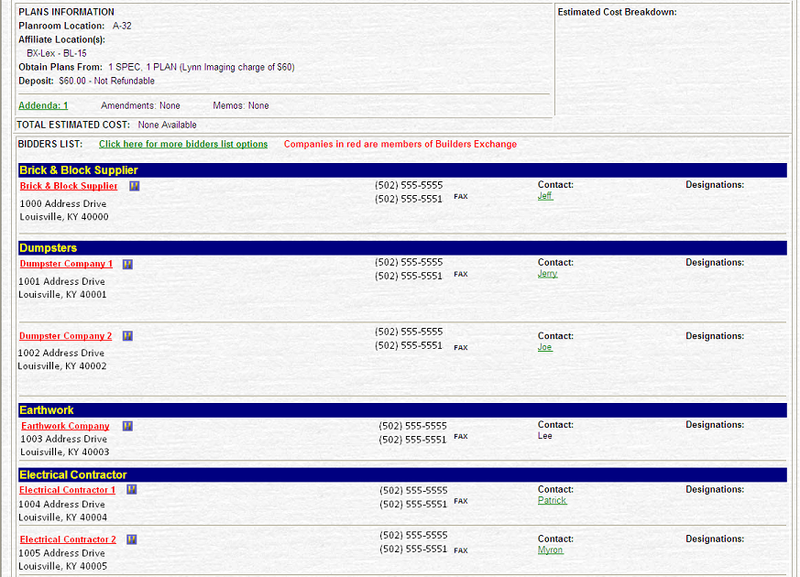 This will select every company listed as a bidder under that trade (see electrical contractors pictured above). Once every company or company trade type that you want included on your list has been check marked, click on the “Print Selected” icon at the top right of the page (see above), choose your printer, click print, and you’re finished! Your printed customized bidders list will include Company Names, Addresses, Phone Numbers, Fax Numbers, Zip Codes, listed Contact Names, and Contact E-Mail Addresses (if available). For more tips like this one, join us on the third Friday of every month from 10-11:30 a.m. for free IPIN training at the Builders Exchange Center for Education & Training Excellence, 2300 Meadow Drive, Louisville, KY 40218 or at the same time on the fourth Friday of every month at our Lexington location, 1035 Strader Drive, Suite 100, Lexington, KY 40505. The next training sessions will be held on January 20, 2012 (Louisville) and January 27, 2012 (Lexington).